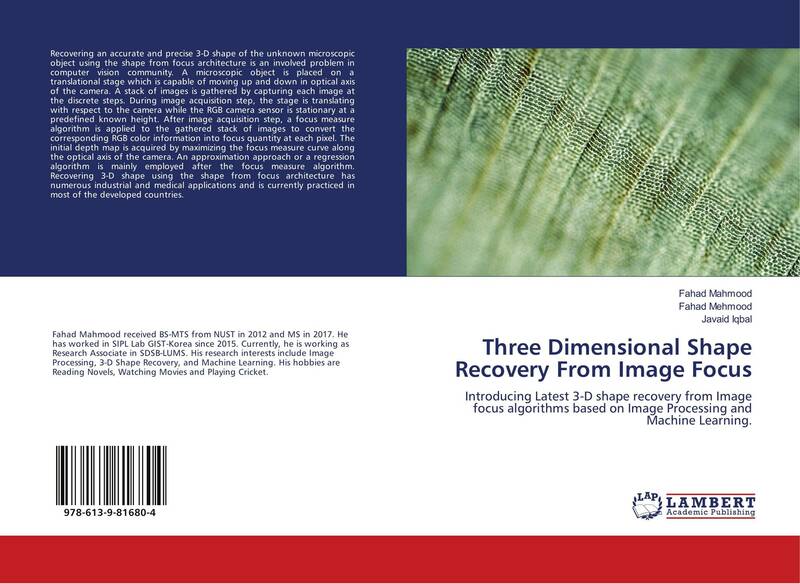 Introducing Latest 3-D shape recovery from Image focus algorithms based on Image Processing and Machine Learning. Recovering an accurate and precise 3-D shape of the unknown microscopic object using the shape from focus architecture is an involved problem in computer vision community. A microscopic object is placed on a translational stage which is capable of moving up and down in optical axis of the camera. A stack of images is gathered by capturing each image at the discrete steps. During image acquisition step, the stage is translating with respect to the camera while the RGB camera sensor is stationary at a predefined known height. After image acquisition step, a focus measure algorithm is applied to the gathered stack of images to convert the corresponding RGB color information into focus quantity at each pixel. The initial depth map is acquired by maximizing the focus measure curve along the optical axis of the camera. An approximation approach or a regression algorithm is mainly employed after the focus measure algorithm. 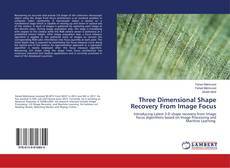 Recovering 3-D shape using the shape from focus architecture has numerous industrial and medical applications and is currently practiced in most of the developed countries.